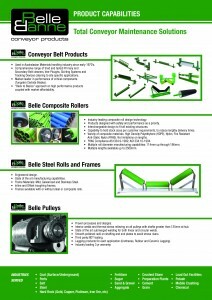 Belle Banne Conveyor Products has a product solution for all your conveyor belt needs. 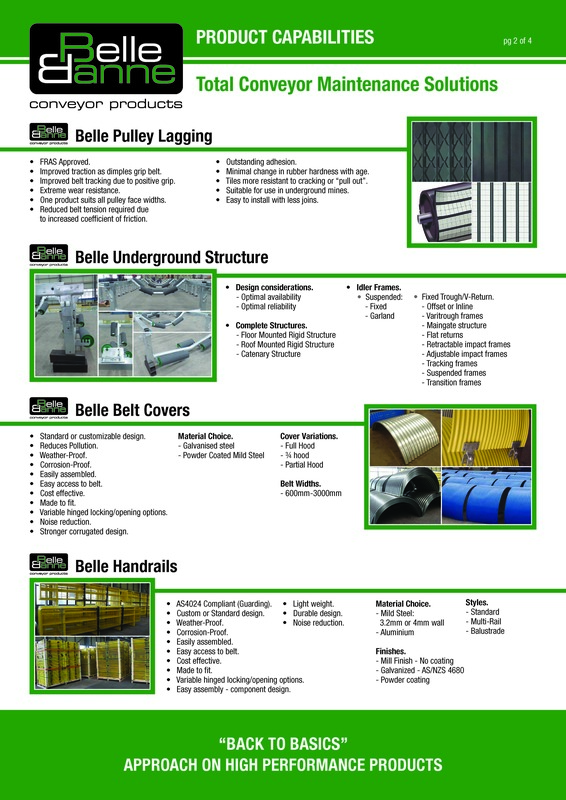 Our goal is to help you to get the most out of your conveyor belt system. 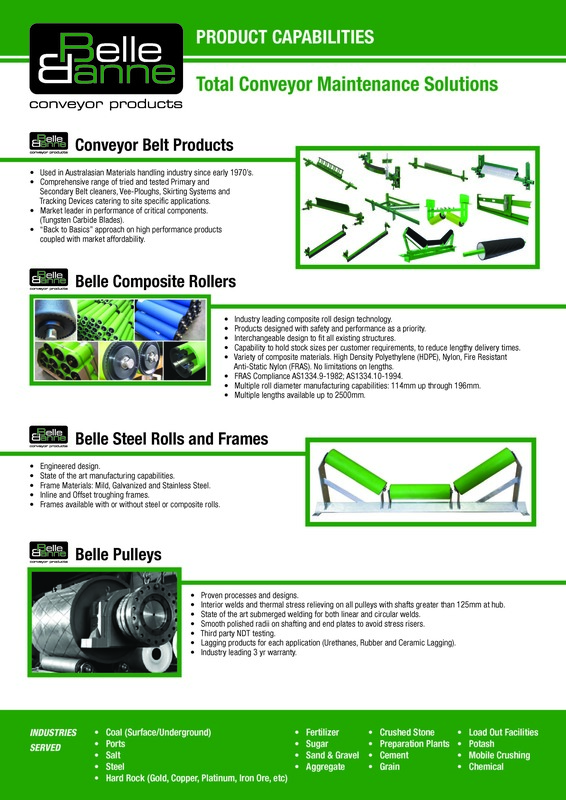 We have a diverse range of Belle Banne conveyor belt cleaners, CAI fasteners, Belle Composite Rollers, Rubber Moulded Products, Pulley Lagging, Steel rolls, Frames and structure, Belle Conveyor Belt Pulleys and ancillary equipment to keep your belt running efficiently when you need it most. 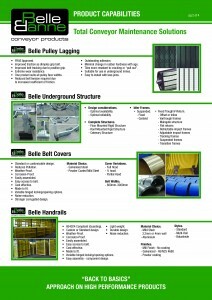 BBCP can also supply custom engineering solutions to assist you with your conveyor issues. 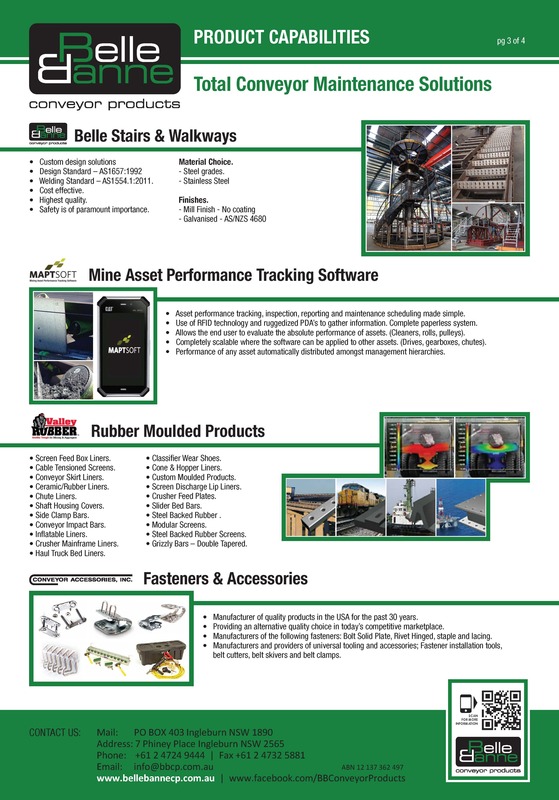 Belle Banne Conveyor Products, through its association with Maptsoft, can also help you monitor your conveyor assets. 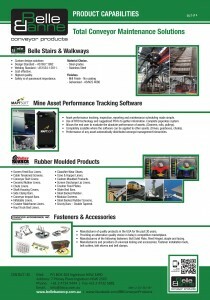 The Maptsoft system will track your Mining Assets in terms of Performance and Life allowing you to make informed decisions and choices about those products in use at your site. 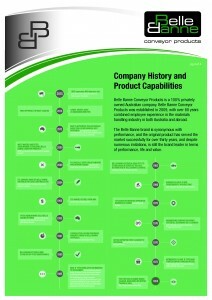 No other company can offer you product solution and performance monitoring like Belle Banne Conveyor Products. 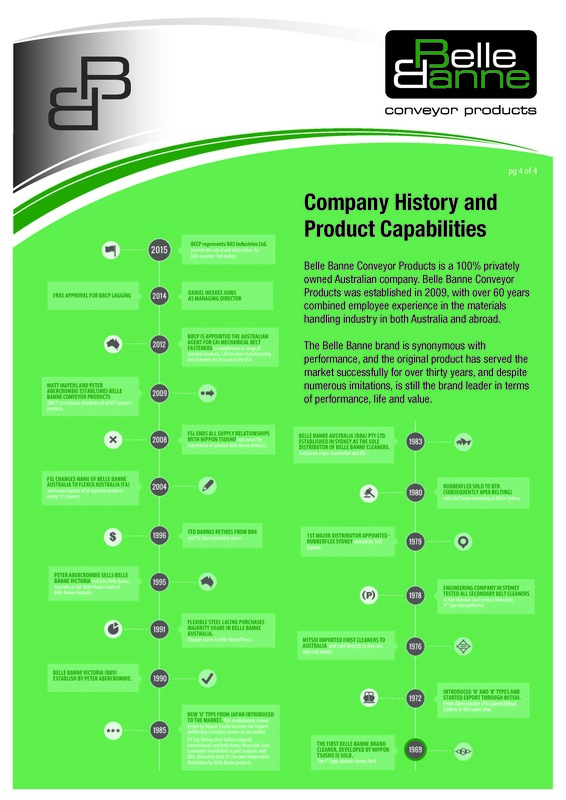 Download the Product Capabilities 2016 Brochure.